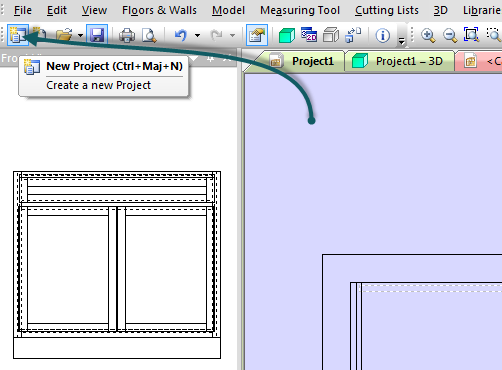 when in Project mode you can double click the cabinet and you’ll pass into “cabinet edit mode”. When you close the cab mode you get the choice of either changing all the cabinets of this name in the project, save in the project as new cab with new name or save to disk as a new cab. If you save to disk you’ll have to reload into the project if necessary. mode and for it to then show the changes to the cabinet in the project mode?